RestorationMaster Holding Corporation is a privately held service business management company, also known as RestorationMaster. They own over thirty ServiceMaster Clean franchise licenses that are operated from 8 branch offices in Illinois. RestorationMaster is one of the largest operators of ServiceMaster Clean franchised businesses in the United States. RestorationMaster meets the stringent demands of the ServiceMaster Clean brand and is recognized as a leader in performance, service, and quality. They can handle any large-scale losses as well commercial and residential restoration services. Their main services in Illinois include disaster restoration, fire damage restoration, water damage restoration, mold remediation, carpet cleaning and more. If a pipe burst and your basement is flooded, or an appliance fails and fills your house with smoke, or you’re interested in preserving your carpet and upholstery with a regular maintenance program or you’re planning a big party and you need special cleaning – whatever your need disaster restoration services or just a reliable cleaning crew, RestorationMaster will deliver excellent service, from start to satisfaction. With so many potential causes of water damage, it is important for homeowners to look out for this type of damage and react immediately. 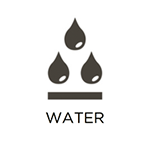 Water damage can be caused by weather conditions including rain and flooding as well as plumbing issues, backups, and burst pipes. RestorationMaster provides water damage restoration services in Bloomington, IL to remove excess water and moisture from homes and buildings. You must call us right away to limit the water damage because it can spread through absorbent building materials to cause extensive damage. 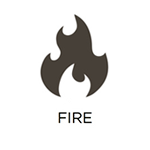 A fire is one of the worst fears of business and homeowners because it can very quickly cause significant damage and put your family or employees at immediate risk of injury or worse. It is important to make sure everyone evacuates safely and once the fire is out, the restoration should begin right away because soot and corrosive byproducts can cause permanent damage. RestorationMaster provides fire damage restoration to help homes and businesses in Bloomington, IL recover after a fire. We can clean and deodorize the furnishings and content in your home as well as repair any structural damage. The carpet is the most used furnishing and the most overlooked as it consistently gathers dirt, dust, and other debris from daily foot traffic. The debris builds up in the carpet fibers over time and if it is not removed, it could lead to discoloration or even deterioration of the carpet. RestorationMaster provides professional carpet cleaning services for homes and businesses in Bloomington, IL. We use state-of-the-art equipment to effectively clean and restore all types of carpeting and we offer regularly scheduled carpet cleaning services to provide consistent maintenance to businesses. 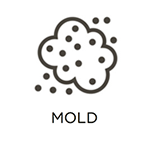 Mold is a naturally occurring fungus that can be destructive and even hazardous if it grows in your home or building. It only requires moisture and an organic food source to grow and it can cause widespread damage as well as negative health effects. RestorationMaster provides mold remediation services to remove all mold growth from affected homes and businesses in Bloomington, IL. Our technicians are trained and equipped to completely remove mold growth as well as repair or replace the surfaces that have been damaged. The daily use of furniture in a home or building causes dirt and debris to get trapped in the upholstery fabric which can lead to discoloration and general wear and tear of the furniture. When the furniture becomes noticeably dirty or worn out, it can affect the appearance of the entire room or office. RestorationMaster provides upholstery cleaning services for homes and businesses in Bloomington, IL. We can effectively clean and restore upholstery fabric as well as remove stains with our advanced cleaning equipment and products. When a major disaster strikes a businesses, it is important to respond immediately to get the damage restored to minimize your losses. Natural disasters such as fires and floods can result in a big financial loss as companies may have to stop their daily operations while spending money on restoration and repairs. RestorationMaster helps businesses in Bloomington, IL recover from major damage with flood and fire large loss services. Our technicians are dedicated to restoring and repairing your damaged building and content as quickly as possible so that you can resume you normal business operations.